With Gita Gopinath having been appointed International Monetary Fund’s Chief Economist and Indra Nooyi being considered to lead World Bank as its president, more and more Indian Americans are emerging as policymakers and leaders in key areas from US politics to administration to judiciary. 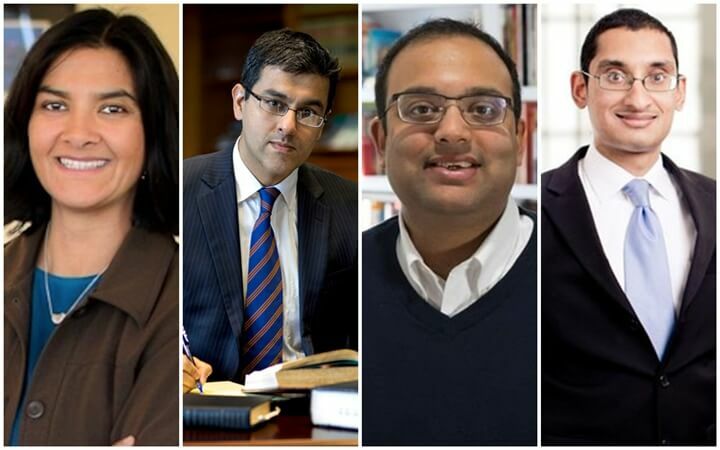 The recent appointment of few Indian Americans as county judges, and President Trump’s latest nomination of three Indian Americans to the Senate validate the fact that the Indian American community is collectively exerting ‘colossal’ power on US economy, politics and administration. On top of that, Hindu-American Congresswoman Tulsi Gabbard and Indian-American Senator Kamala Devi Harris are all set to enter the 2020 Democratic Presidential primary contest. 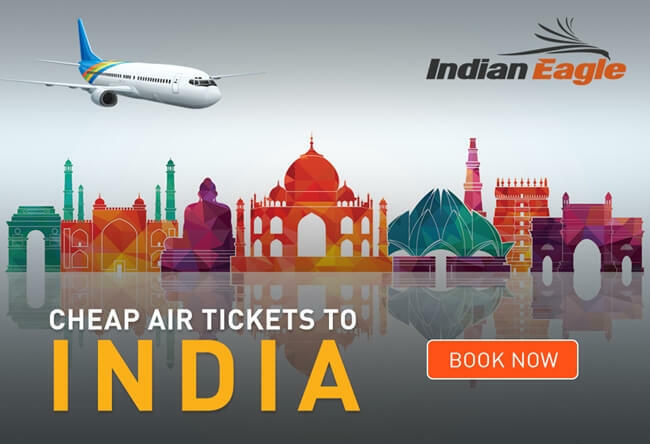 We at Travel Beats, an Indian American community portal by Indian Eagle took a sneak peek into the profiles and agendas of the newly appointed and emerging Indian American policymakers and leaders. The US President Donald Trump’s latest nominations to the Senate for key positions include three Indian Americans: Rita Baranwal, Bimal Patel and Aditya Bamzai. A member of the American Nuclear Society, Dr. Rita Baranwal from Pittsburgh is a nominee for the post of assistant secretary of Nuclear Energy. If the Senate approves her nomination, she will be helming the office of Nuclear Energy in the United States, with a special focus on the department’s nuclear technology research and development. An MIT alumnus having a PhD degree in materials science and engineering from the University of Michigan, Dr. Rita Baranwal is the Director for the Gateway for Accelerated Innovation in Nuclear (GAIN) initiative. Nominated to the Senate for the Privacy and Civil Liberties Oversight Board, Aditya Bamzai from Virginia is a Professor at the University of Virginia’s School of Law. A Yale graduate, he teaches and writes about cybercrimes, national security law, civil procedure and federal courts at the University of Virginia’s School of Law. Earlier, he was appointed a law clerk to Judge Jeffrey Sutton at the US Court of Appeals and to Justice Antonin Scalia at the US Supreme Court. Indian American Aditya Bamzai has also worked in the Office of legal counsel and the National Security Division of the US Department of Justice. If confirmed by the Senate, he will serve the Privacy and Civil Liberties Oversight Board until January 29, 2020. President Trump has nominated Indian American Bimal Patel from Georgia for the post of assistant secretary in the US Department of Treasury. An alumnus of Stanford University, Harvard University and Georgetown University Law Center, Bimal Patel currently serves as the deputy assistant secretary of the Treasury for the Financial Stability Oversight Council. Earlier, he worked as an adjunct associate professor at Stanford University and taught a banking regulation course to undergraduate students. He was also a senior advisor to Director Jeremiah O Norton at the Federal Deposit Insurance Corporation. Indian American Ram Villivalam, a Democrat from Chicago has recently been sworn in as a member of the Illinois General Assembly in the state’s 8th district. He took his oath on the Bhagavad Gita, and so did other Indian American legislators including Congressman Raja Krishnamoorthi. As per the priorities on his agenda for Illinois’ 8th congressional district, Ram Villivalam is hell-bent on bringing legislation for gun violence prevention, women’s rights, progressive income tax, LGBTQ rights, and hike in minimum wage. Notably, he is looking forward to bringing progressive perspectives to the process of making decisions in the Illinois Senate for the 8th district covering 21 neighborhoods in Chicago City. India-born Mona Das from the US state of Washington joined the league of Indian American female politicians by taking oath as a senator of the 47th legislative district in the state. Mona Das whose ancestral home is in a suburban village at a short distance from Kolkata came to the US along with her parents just after eight months of her birth in Munger district of Bihar. A psychology graduate from the University of Cincinnati, Indian American Senator Mona Das will on the Senate Housing Stability and Affordability Committee, the Senate Transportation Committee, the Senate Financial Institutions, Economic Development and Trade Committee, and the Senate Environment, Energy and Technology Committee. In her capacity as a Washington State Senator, Mona Das will be advocating the causes related to gender equality for women, environment and minority communities. Her speech on the oath-taking day was eloquent with her love for India and its cultural heritage. She concluded her speech with ‘Jai Hind’ and ‘Bharat Mata ki Jai.’ Like most of Indian American female politicians, Mona Das believes that education is the key to girls’ success and bright future. Vedica Puri from San Francisco is among the few new Indian American faces in the administrative power of the USA. A native of Mumbai, 47-year-old Vedica Puri has been appointed a judge to the San Francisco County Superior Court. A graduate from Santa Clara University School of Law, Vedica Puri is the first Indian American judge in the San Francisco County Superior Court. Her areas of practice include dealing with emerging technology risks to universities and businesses in Silicon Valley. Indian American Vedica Puri is one of the partners at Pillsbury & Coleman LLP. Of the new Indian Americans in administrative power, K. P. George has been sworn in to the judgeship of Fort Bend County in Texas. He succeeded Republican Robert Hebert, who designated the position for the past 15 years, and described his eventful journey from a South Indian farmhouse to Fort Bend County Judgeship an inspiring story of perseverance. ‘Never Give up’ was Indian American K. P. George’s message to those in attendance during his oath-taking ceremony. The chief executive of Fort Bend County Texas, K. P. George promises an effective, efficient and engaging administration to involve youngsters and community members in various nation-building and development projects. He does also guarantee a revision of the emergency management policy as the destruction caused by Hurricane Harvey in 2017 still sticks to the public memory. Better county government transparency, higher levels of community engagement, more youth empowerment, the making of a flood control district, and meticulous emergency-handling plans are what he zeroed in on while campaigning for the judgeship of Fort Bend, the most diverse and 10th most populous county in Texas. The Fort Bend County Judge is said to exert more power than Indian American mayors of cities in California and New Jersey. Indian-origin judges in America include attorney Manjari Chawla from Jaipur, Rajasthan. She was the first Indian American to be appointed a hearing judge by the California Supreme Court in San Francisco, in October 2018. As a hearing judge of the State Bar Court, Majari Chawla presides over cases of violation of the State Bar Act and the Rules of Professional Conduct, involving attorneys in California. A member of the San Francisco Court Bar Association, Indian American Manjari Chawla is known for her expertise in fighting for justice to the Asian-origin people in the USA. An alumnus of Yale University, she will be serving the State Bar Court through October 2024.